a) I haven't taken pictures of the orange peel quilt yet (though it's done and gifted) because I need three people (1 to hold the camera, and at least 2 to hold up the quilt) - so I can't share yet! It was a busy weekend around here, even with two days off of school, and it gets dark so early now. Wah. b) I'm making my sister a mini quilt for her birthday on Friday and I want to share, but she has forbidden me from sharing (although I found this out after I posted a couple of photos in progress yesterday on Instagram - I'm @quiltyhabit if you want to see)! It's based on the movie Tangled and I'm sooo pleased with it so far! c) Tomorrow night is our monthly guild meeting (which I have to finish planning and prepping for - being the President is hard work!). but luckily d) we have a guild retreat this weekend in Bridgewater, NJ, so I'm sure to sew a lot (I need to finish my Supernova blocks especially!) There are three spots left at the retreat, so if you are in NY/PA/NJ/DE area and want to sew with us (even for the day - day passes are available Fri., Sat., and Sun. ), let us know and email us! Click on the links above for more info. I can't wait to share what I've designed for the quilt top! It's just my style - based on improv. Members have made modern blocks with the color palette designated by the MQG. I can't wait to get started! I SO wish I could come to the retreat! I am in desperate need of one, like I am already trying to find a good one next fall. I can't wait to see both of the quilts! Enjoy the retreat -- sounds like you're ready for one! Hi Jess, Did you know--only 99 days to go!!! 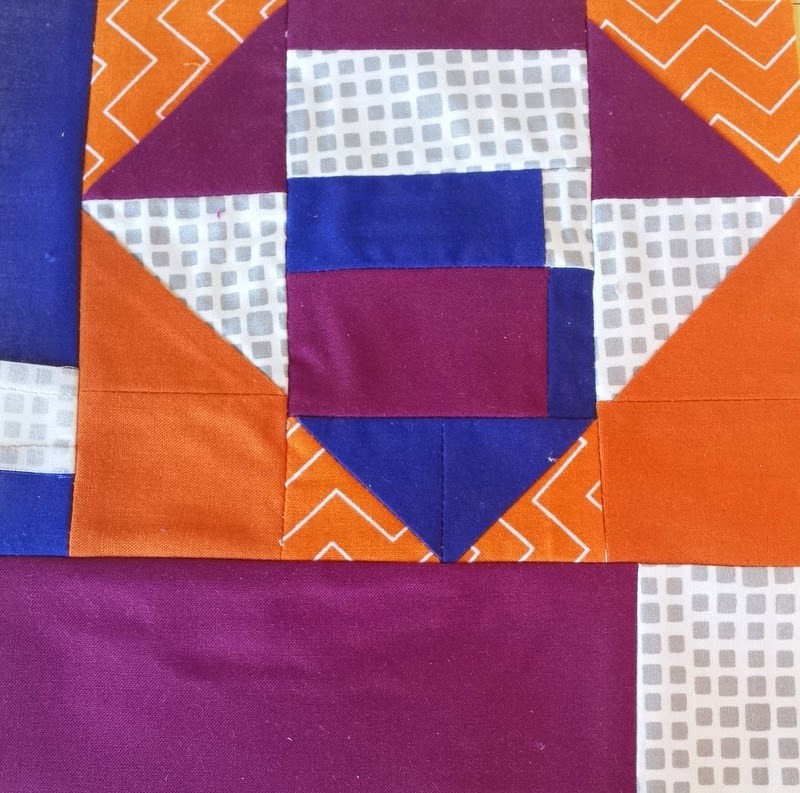 Funny I just posted a Quilt Con Charity block today as well. Must be Quilty mental telepathy!